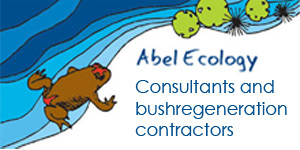 Members with AABR bush regeneration accreditation can promote their bush regeneration business on the AABR website by taking advantage of one of five advertising options. (Conditions apply.) Download the Professional Advertising options form to find out the details of what is included and Apply by completing the Professional Advertising Application. (Note: Specialist restoration nurseries or seed suppliers that comply with the Florabank guidelines and whose Principal, Owner or Manager / Director is an AABR accredited bush regenerator should also download this form to register for professional listing and consider whether they are eligible for an advertising discount.